Within Australia, knowledge amongst locals that Australian Rules football is being played overseas is far from commonplace. It does gain small mention however, at larger events such as the International Cup, Arafura Games, Barassi Youth Tournament and occasionally, when a national team tours Australia. Japan is lucky to be one of the more recognised countries that play the game outside of Australia (albeit on an amateur basis). Aside from mainstream media, World Footy News has also run numerous stories on both the clubs in Japan and their representative squad, the Samurais. Yet what most people aren't aware is that there are actually two separate football entities in Japan, the Japan Australian Football League (JAFL) and the Nippon Australian Football League (NAFL). 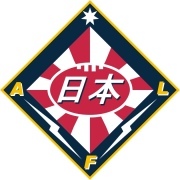 Almost all previous attention has been directed towards the JAFL and their representative side, the Samurais, with two brief mentions of the NAFL, in Four teams, but in two leagues - footy in Kansai, Japan and Japan AFL 2006 Preview. Here we discuss the Nippon AFL with its president, Mr. Andrew Carne. For clarity on Mr. Carne's credentials to make qualified comments we give you an insight into his background. This subsequent discussion contains some subjective material provided courtesy of Mr. Carne which the author reports in good faith. Mr. Carne has played 208 football games in South Australia for Kilburn, Pooraka, Hamley Bridge and Fitzroy. He also played a few games in U/19s for North Adelaide and Woodville. He's won a Best and Fairest and 3 Best Team Man awards. On top of this, in Japan, he was the only Osaka player to achieve Best on Ground at the 2005 Narita Cup. He was also assistant coach to the Samurais in 2005 and the Kinki Kangaroos Premiership coach in 2004 and 2005, not to mention Godika Cup Champion team coach in 2006. To begin with, Mr. Carne wishes to clarify two errors from the first of our previously mentioned articles. The first is that there was reported to be 50 players in the Osaka-Kobe-Kyoto region, with only 20 of these in the NAFL (formerly AFLKJ). There was in fact 45 players who passed through the NAFL last year. At this point in time the NAFL have had 72 different players pull on a jumper in 12 months. (A recent update is 54 players this season, and 30 different goalkickers.) The second correction is that Mr. Carne was reported to have been a former trainer of the Samurais. He wishes to inform everyone that he never studied the medical requirements to be a trainer and was in fact a former assistant coach and a match day runner for the team at the 2005 Cup. In order to greater understand the football situation in Japan, it is necessary to give a little background information about both the JAFL and NAFL. Both are amateur competitions, based in different regions of Japan. The JAFL unofficially governs football in Tokyo whilst the NAFL has three of their current men's teams in the Kansai region (Osaka Kinki Kangaroos, Kyoto Kockatwos and Kobe Crocodiles) and the other in Nagoya (Nagoya Redbacks - halfway between Osaka and Tokyo). The NAFL have been previously labelled a rebel body, but Mr. Carne insists this is not the case, with the NAFL never having been a subsidiary to the JAFL. Further to this, their flagship team, the (Osaka) Kinki Kangaroos, were established well prior to the beginning of the JAFL's affiliation with the AFL. A concept to dually-govern football in Japan has been raised previously, but so far the JAFL has not wished to enter discussions into forming a united body despite the NAFL's repeated offers to discuss it. (Not surprisingly in the world of footy politics there are dissenting views on this). Differences aside, at the moment, for both leagues, it's about changing perceptions of football (in Japan it is often mistaken for rugby) and improving the sport's exposure in a country known for their knack at baseball, soccer and even the likes of rugby union. The NAFL want everyone in Japan to get involved in football, and have written a constitution that protects players from prejudice of any sort, be that along ethnic, gender, religious or political lines. Mr. Carne is proud to mention that the NAFL has players on their list that have gained experience at other football clubs in Japan, but have joined them because of this stance. The NAFL recognise the game's grassroots origin and are keen to preserve this and offer everyone interested a chance at playing. Carne points out that "the NAFL has a management team of 10 which between them boasts over 1000 games of playing experience and has the most experiential football management team in Asia". They have applied to the Japanese government for recognition as a sporting body, and have been assured that this process shouldn't encounter any hiccups. In addition to this, they have been recognised by the Australian Department of Foreign Affairs and Trade and several other football leagues throughout the globe. They also hope that the start of one Nagoya team will lead to the establishment of another in the region. There are also talks about future teams in Tokyo and Kyushu. At the moment, with no affiliation between the two bodies (NAFL and JAFL), their teams will only be competing in their respective leagues. Box Hill North scholarship player, and member of the Samurais 2006 squad, Genki Tanka, actually started his football career in the NAFL. Unfortunately, whilst two separate governing bodies could have its advantages; it also has its disadvantages. The Samurais, regarded as Japan's national side, are comprised solely of JAFL players. For credibility reasons, the AFL only permits one team per country to be a part of the International Cup, and it is the JAFL that has been granted "official" status. Mr. Carne assures everyone that this doesn't mean the NAFL will be without their taste of action. He also is confident his league can field a stronger National side than the Samurai, and cites a victory of a NAFL team over the strong Tokyo Goannas side. The NAFL is proud of its collage of players, including players with Irish, Chinese, Japanese, English, Canadian, American, New Zealand and Australian backgrounds. However the whole issue of representative squads can descend into sifting through specific criteria on eligibility, which we won't go into here. Their representative side, the Nippon Tsunami, are to compete against the US and Canada in 2007. It will be made up of the best players in the NAFL, and will not be Tokyo university-based like the recent Samurais line-ups. The Nippon AFL's second season began on September 24th (opposite to Australia because of the hemisphere difference). They look forward to continuing to grow as a league and as players and urge anyone who is even mildly curious to get in contact with them and get along to a game. They are also seeking sponsors, be they in Japan or abroad, especially to help support them in their upcoming tour of North America. Those interested in playing in or supporting the NAFL can email them at nafl@hotmail.co.jp or visit the NAFL website. For anyone wondering, the NAFL was formerly known as the AFLKJ, but the name was changed to greater represent their quickly expanding league. The NAFL website has a link to the AFLKJ website on their homepage, but it is currently just an earlier version of the now-NAFL website. They retain it because when Nagoya gains a second team, they will form the Australian Football League Tokui Japan (AFLTJ) and the Kinki Kangaroos, Kobe Crocodiles and Kyoto Kockatwos will form the new Australian Football League Kansai Kapan (AFLKJ). Mr. Carne has a Master of Arts (International Relations) from Deakin University, Australia. He also has a Master of Education and is working towards his Postgraduate degree in Psychology from the University of Southern Queensland, Australia. He has a Bachelor of Management (Marketing), which included a Fullbright Scholarship to study in the US. He has lived in Japan for seven years, having taught at every level from Kindergarten to University. He is well versed in Japanese culture on a domestic and international level and his current Ph.D studies are on Japan and their relationship with countries in the Pacific Rim. If you need more information on life for a foreigner in Japan he welcomes you to contact him.